The Porsche 924 is in an odd place in the if you ask me (and you did...right?) because everything else with a Porsche badge from the same era has appreciated into the trust or hedge fund price bracket. But the 924 is an honest car, perhaps too honest, as it doesn't whisper into your ear that you are reincarnated Ayrton Senna before spinning backwards into a tree..but perhaps this next one will give you some of the same excitement and then make you a few bones when you sell it. 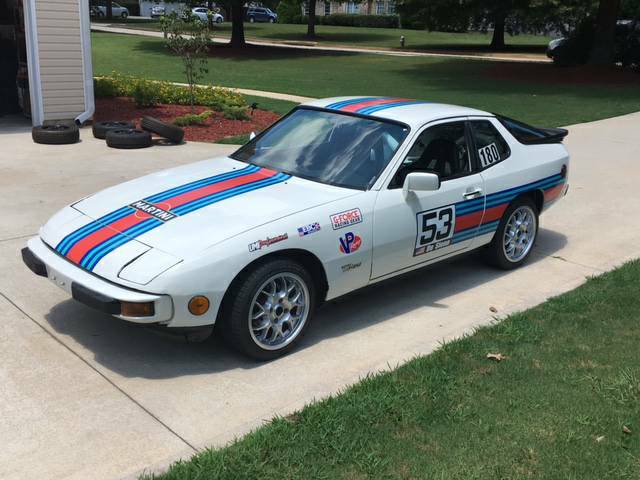 Find this 1979 Porsche 924 offered for $4,300 in Atlanta, GA via craigslist. Tip from Matt C.
1979 Porsche 924 4cyl, 5 speed. Ready for this summer season for Autocrossing, 24hr Lemons, Chump Car, etc. Many, many new parts and done right. Was a daily driver up until 2015. This car runs extremely well. New injectors, cold start valve, fuel distributor, filter and pump. New front bushings, lower control arms, radiator, belts, hoses, complete tune up, new clutch, brakes, 2 sets of BRAND New tires, powder coated rims, quick release steering wheel, front racing bucket seats. Scammers - Please don't waste my time or yours. I need no help selling/listing , etc. Back off everybody, as long as things look good I think this shall be mine! Anybody in Atlanta want to go see it in person and report on condition? It sits as if it is on stilts. Could just be he misunderstood the saying: "They Go Low, I Go High."